Are You Protected by Your Auto Insurance From an Uninsured Drivers? Benefits of Uninsured Motorist Protection – People driving without any auto accident insurance usually have no assets. When these same people cause auto accidents, the car injury victim is left without any recovery despite legitimate injuries. In clear terms, where no insurance is in place and the defendant is penniless, their victim is left with nothing, even where significant harm is caused by the car crash. Fortunately, concerned individuals are able to purchase a policy provision from their own carrier to protect against reckless drivers. This is an extremely important. It covers those who are hurt in a crash on the roadway by someone driving without any automobile liability insurance. A driver negligently hits you and causes damage to your automobile and/or person. Here, it would apply to protect you from the other driver. A car is stolen at the time of the collision. In these situations, no insurance exists under the car that is stolen, thus triggering the clause. If any of the above-listed situations arise, the the financial compensation could attach if it exists. So be sure to get the all important clause for you and your family. Consult with a personal injury lawyer right away if you believe the person causing the collision does not have any insurance. Those who choose this protection must decide how much to purchase. While it isn’t free, it usually is not very costly to add to any motor vehicle policy. It all depends upon the dollar amount they purchase. General automobile liability coverage comes in some general increments of protection. The law requires that uninsured limits be of equal or less protection than afforded under the corresponding liability policy. 15k/30k – This is the minimal California requirement. It means that there is up to $15,000 per person injured per accident, with a maximum of up to $30,000.00 per accident. If the crash causes bodily harm to more than 2 people (excluding the driver who caused the crash), then less than $15,000.00 per victim may be available, since it caps out at $30,000.00 no matter how many people are injured. 25k/50k – Most carriers offer this amount as a step up from the basic. If a person decides to carry this level of protection for their own negligent acts against other drivers, then up to $25,000.00 per person per accident becomes available for purchase, with a maximum of $50,000.00 for each occurrence. 30k/60k – This is the next highest amount above the 25k/50k, offering some additional liability protection and allowing the policyholder to obtain 30k/60k in financial compensation for themselves and the occupants of their vehicles. 50k/100k, 100k/300k, 250k/500k, 500k, 1m, etc. – these increments are the usual ones available for purchase. California law provides that uninsured also means underinsured. Should a defendant have insufficient limits, the underinsured rule kicks in and can provide financial compensation up to the uninsured coverage amount. Thus, it become excess coverage where the defendant’s limits are lower than the underinsured amount. Have you or a loved family member or friend been hurt in a crash? A personal injury attorney specializing in automobile crashes can help you investigate what forms of coverage you carry and help you invoke them to your advantage. 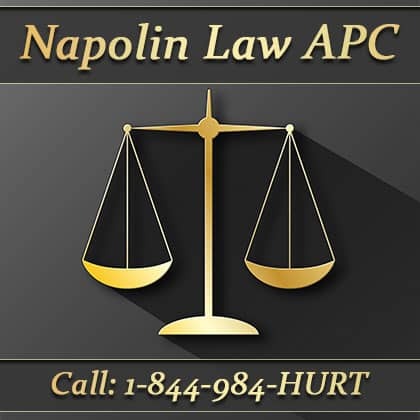 Napolin Law Firm, Inc. represents individuals in the claims and arbitration process against insurance companies. If you are looking for an attorney for help with one of the above circumstances, you can contact us and speak to a car accident lawyer today. 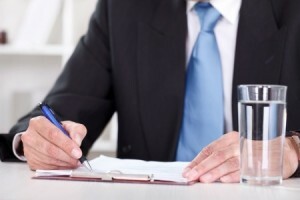 We offer free consultations and take on cases without any money up front. 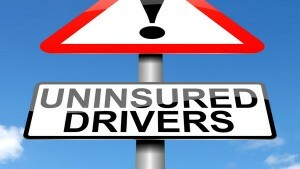 Learn more about the Benefits of Uninsured Motorist Protection by Calling us at 909-325-6032, or email us by filling out a free case evaluation form at www.napolinlaw.com. We are lawyers who are here to help.